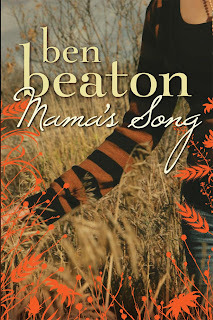 Ben Beaton's debut novel, Mama's Song, is to be published next month by Black Dog Books.I was lucky enough to get a copy of Mama's Song, which I reviewed here. It's a truly beautiful novel, and you should definitely check it out. 1. What was the inspiration behind Mama's Song? I was originally going to write a story about a guy who has a child and a grandchild on the same day - from his daughter’s point of view. Georgina's father was going to enter the story half way through and be the link between Mary and George. As I was writing the book however, this direction didn't feel right, so I made it more about George’s development from rebellious teen to independent more self reliant young woman. I also wanted to explore the relationships and connections we make in life. George thinks she’s going to find her grandmother, someone who will look after her and continue to support her. Instead she finds herself in a strange environment, surrounded by strangers, so the novel is a little like a puzzle, where we get to see how she will work herself out of this situation. Most of all I was inspired by George herself. She came into my head fully formed, and I merely had to write down what she said. 2. A lot of the focus of Mama's Song was on Georgina's life as a new mother. Did you find this difficult to write? How did you research? couldn’t have written it without going through the experience with my wife when our two children were born. My job as an author is to tell a story, and have you feel like that story connects with you in some way. So for Georgina I thought about how she would react, what fears she would have and how she would deal with the situation. Some of the things that happen in the novel are drawn from real life experience, and other things are fictional, but if it feels real, and as a reader you identify with the characters and their experience, then I’m happy. We also had a few health professionals read the story to make sure all of the medical references in the novel are accurate. 3. Mama's Song is your first novel. Are you working on a second at the moment? Could you tell us a bit about it? 4. What three words would you use to describe yourself? And what three words would you use to describe your writing? Big computer nerd and my writing is to the point. A blur, but a great time full of good friends and fun times. 6. Have you always wanted to write for young people? Or did you set out to become a brain surgeon and wind up stumbling down this path? Was the road to publication rocky for you? I started out wanting to be an actor, and studied theatre and music at high school until I discovered how many out of work actors and musos there were. I loved Drama and English so did the natural thing and became a Drama and English teacher. I had a band for a while, but it was a bit hard to keep it together after starting a family, so for me writing is a good way to satisfy my creative energy. I’ve been very lucky with my writing to be well supported and encouraged by friends and family, and now with the team at Black Dog Books. They really care about the process and the end product, and pushed me to produce something we can all be proud of. 7. Who were your biggest inspirations and idols growing up and today? If you look at the dedication for this book, you’ll see my grandmother, mum, wife and daughter named. Each of them inspire me in different ways, and encourage me to live life to the full. 8. Who are your favourite authors and which novels are your all-time favourites? I really liked the way Tim Winton wrote the Lockie Leonard books. 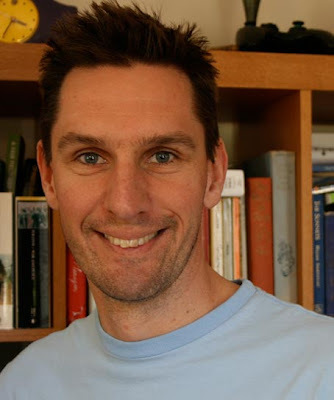 He brought all of his power and sensitivity as an author to the YA space, and I think he set a great example of how you can write with strong messages and lyric beauty for teens. For me, you have to read The Curious Incident of the Dog in the Nightime, it set a new standard for the post modern novel, Ender’ Game by Orson Scott Card, The 10pm Question which came out this year, and Chasing Boys by Karen Tayleur. The common thread here is books that help you get completely lost in the characters and leave you wanting more. Hectic. I have a great job integrating IT into the curriculum and also working with staff to extend what we do with the students at my school. I also have a fab family who let me do the fun things, and keep me very grounded. Gadget Boy (my family picked the name) I love gadgets - so I’d be able to make them work just by touching them - a bit like Mica in Heroes. My costume would have to have some sort of reference to iPhones and iPods - I know, it’s sad. Thank you Ben (and Kristen at bdb)!